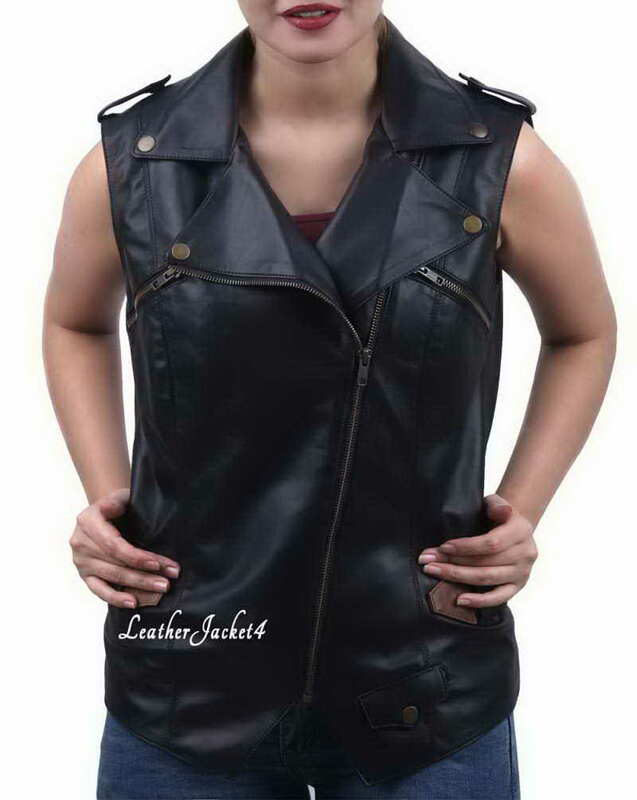 Sleeveless cut to fit flattering women’s biker jacket is an uber chic for the casual settings, especially when the weather is throwing some unexpected surprises to you. 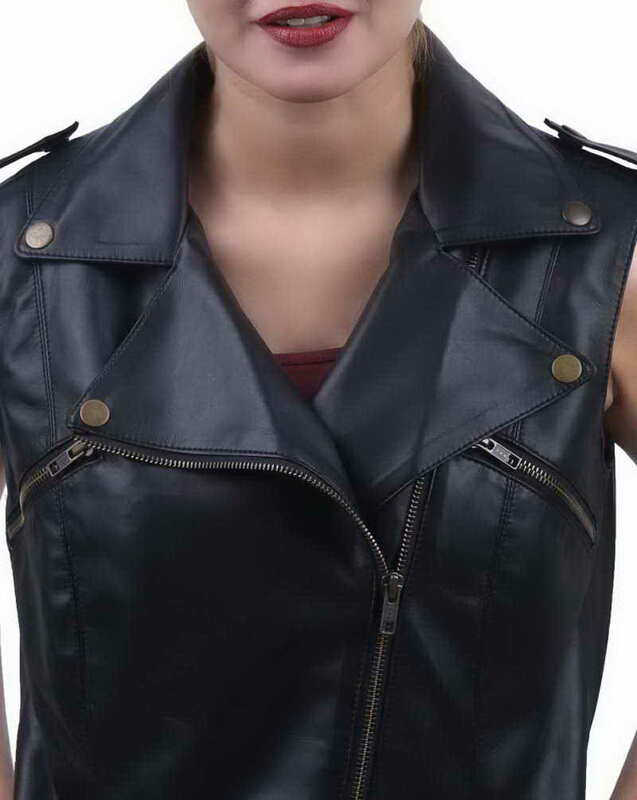 This Slim fit biker style jacket will let you experience the breezy sensation in your bare arms while short fitting will accentuate the appealing features of your body. You may expect the athletic look while pairing it with skin-tight jeans and ankle bootie. There are limitless options to wear inside however, a crop top would instantly give you a killer look. Just like a classic biker jacket, it has a lapel studded collar. Front closure is acquainted by the high-quality YKK zipper that moves up and down asymmetrically. Two small chest pockets with zipping features add in its overall sporty look. One small coin pocket and a short belt around waist complete the style. 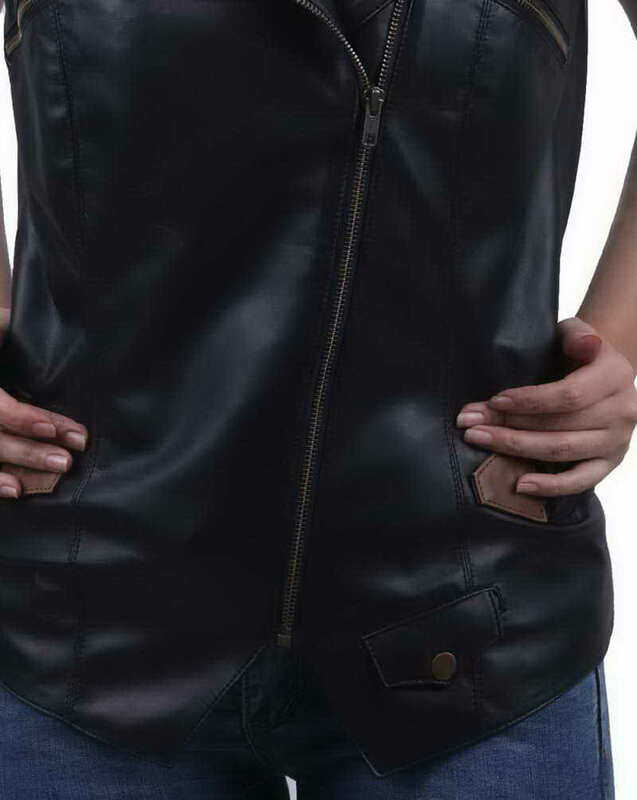 For an easy to drape functionality and comfort this biker jacket is fully granted the high-quality viscose linings inside.